Hand Pallet Stretch Wrap. 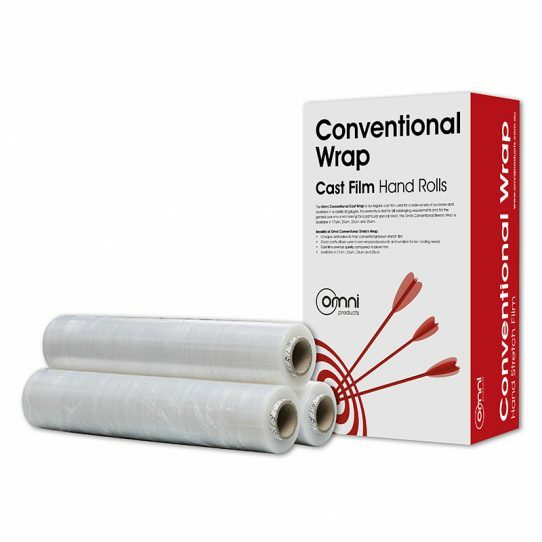 The Omni Conventional Cast Stretch Wrap is our regular cast film used for a wide variety of purposes and available in a variety of gauges. This Pallet Wrapping film is perfectly suited for all packaging requirements and for the general user who is not looking for a particular special need. This cast Pallet Stretch Wrap is available in hand and machines rolls.